Advice for Bummit 2019 to Cluj-Napoca! This advice is offered from the Student Advice Centre at the SU. EU/EEA countries, UK, Australia, Argentina, Canada, Malaysia, Hong Kong (SAR) passport, South Korea, Japan, Taiwan (if you have your ID no in your passport) , United States. If you already hold a multi entry Schengen visa which will still be valid then you do not need to apply for a separate Schengen visa. You can spend up to 90 days in Schengen area during 180 day period. If you planning any other trips to the Schengen area before or after Bummit then having details of that trip will help, if applying for a multi trip Schengen visa. Usually to apply for a Schengen visa you will need to show a detailed itinerary / travel plan, confirmed accommodation bookings for the duration of the trip and confirmation of travel in and out of the Schengen area. The nature of the Bummit hitchhiking event does not easily fit these requirements, so there is a risk that an application for a Schengen visa may be refused. You need to be aware of and willing to take this risk. If refused you would lose the application fee and you would have a ‘refusal’ notice on your immigration history. You can apply for a Schengen visa from the country you intend to enter the Schengen area or the country in which you intend to spend the most time. As this will be hard to know we suggest that you apply to the country that you intend to enter the Schengen area through. This is likely to be via Netherlands or France. It is important that you do enter the Schengen area via that country, so we would advise you to try and agree this with your team and plan your journey accordingly. The following information is based on someone applying via the Netherlands embassy. Whilst Schengen requirements are similar across all Schengen states there can be subtle differences, so always check directly with the Embassy for the country to which you are applying. Every applicant, including children/infants, has to submit his/her Schengen visa application in person and by appointment only on their appointment date, which needs to be booked online. (see Schedule an Appointment) by the applicant. Currently £54.50 plus a £24.55 VFS service fee. You will also have to travel in person to the visa application centre to submit documents, the nearest is Manchester so factor in the travel costs. The list of documents below is not an exhaustive list of documents and you could be asked for additional documentation. All documents should ideally be no more than 1 month old e.g. bank statements. Applicants always have to bring and present their original documents, but they only need to submit photocopies of the same; unless the requirements specify that an original document has to be submitted. Complete the online Schengen visa application form, print it out and take it to your appointment. It is strongly recommended to complete the form using the online portal instead of the paper format. The portal will guide you through the application questions and will make sure you do not forget to enter any necessary values. Passport (original and photocopy): Signed passport, at least 2 blank pages for visa purposes, must be valid for at least 90 days beyond the return date of the trip to the Schengen Area and has to be issued within the last 10 years on the day of leaving the Schengen Area. Extended passport may still be valid, but when older than 10 years the passport is no longer acceptable; in that case applicant first needs to apply for a new passport. Photocopies of previous Schengen visas issued in the last 2 years; in case the previous Schengen visas are endorsed in an old passport, then the old passport should also be presented with the visa application. 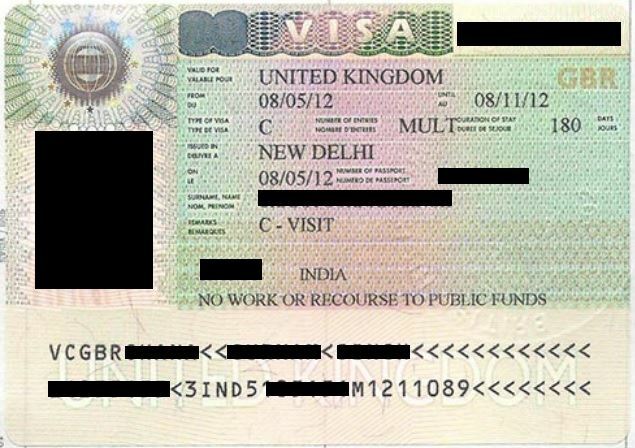 UK Residence permit, endorsed in the passport or issued as a Biometrics card, must be valid for at least 90 days beyond the return date of the trip to the Schengen Area; C type visitor visa (see here) is also acceptable, however the minimum processing time may be considerably longer than the regular 2-weeks minimum processing time. Photograph (original) (see https://www.vfsglobal.com/Netherlands/UK/visa-services/family-friends-visit.html#transit_photoSpecs) Please note the photo requirements differ to UK visa requirements so always check. Proof of study: Student letter (original): recent (less than 3 months old), signed, UK school/college/university letter (addressed to the Embassy, name and position of the signee and confirming applicant’s enrolment). This can be collected from SSiD ask for a Student Status Schengen Letter and they will address to relevant embassy. Proof of funds: Latest 3 months UK current account bank statements showing applicant’s name, address and an end balance dated within the last month on the visa application submission date; balance needs to show a minimum amount of £ 30.00/day of stay in the Schengen Area + outstanding accommodation and travel fees (alternatively online bank account printouts are also accepted). Some countries will expect more funds e.g. 50 euros a day plus accommodation and travel. You can have travellers’ cheques covering the same amount. Proof of travel: (airplane, train, boat, coach, (hired) car) Reserved return travel tickets: mentioning applicant’s name and travel dates to & from the Schengen Area. It is recommended that you provide evidence of ferry crossing into Schengen area and evidence of how you will leave Schengen area and enter Romania. In the past students have booked a train/coach which helps to evidence their departure from Schengen. Without this there is a chance the application could be refused. You should also enclose the return flight from Romania. Proof of accommodation The SU will provide a letter which will confirm that you are participating on a charity event, it will confirm that the SU has booked hostel accommodation at the mid- way point and at the end of the journey. As the bookings are for a group and not in your own name they may not be accepted by the Embassy. It would be advisable to have booking reservations for hostels in your own name for each night of the trip, even if you later have to cancel or amend them. Your Schengen visa will allow travel throughout the Schengen area for up to 90 days and often people’s exact travel plans change during the trip but in order to meet the visa requirements it is a good idea to plan a proposed route and book hostels accordingly in your name. Make sure that you book rooms which can be cancelled or amended without charge. Travel insurance (all-risk medical travel insurance) The travel insurance – clearly showing the applicant’s name – has to be valid throughout the complete territory of the Schengen Area and must cover the entire period of the applicant’s intended stay in the Schengen Area; the minimum coverage for medical emergency and repatriation (in case of death clause included) must be 30.000 €. The SU will insure you for the duration of the Bummit trip, if the insurance document can be provided and clearly shows that you are individually named then it may be accepted by the Embassy. If you intend to extend your trip, then you must take out additional coverage. As you are applying for a multi entry Schengen visa it could be worth you taking out an annual multi trip travel insurance coverage which would cover this trip and any future trips to the Schengen area. You can find good value insurance products via web comparison sites and consumer forums such as https://www.moneysavingexpert.com/travel-insurance/but always check the small print and ensure that the cover will meet the requirements of the visa and cover you for the activities you will be undertaking whilst travelling. What support will I get with the visa application? You will be invited to an information workshop with an Immigration adviser from the Student Advice Centre (This will be on 13.2.19 6pm Workroom 1 The Diamond) and one 30 min appointment to check your form and documents if required.